The PSoC®4 Pioneer Kit (CY8CKIT-042) is an easy-to-use and inexpensive development platform enabling you to create unique designs with the flexibility of PSoC 4. Featuring a member of the PSoC 4200 family, this kit gives you the power of an ARM® Cortex™-M0 combined with the fully customizable analog and digital fabric of the PSoC in the palm of your hands. The PSoC 4 architecture offers power leakage of 150 nA while retaining SRAM memory, programmable logic, and the ability to wake up from an interrupt. In stop mode, it consumes only 20 nA while maintaining wake-up capability. It has the widest operating voltage range of any Cortex-M0-based device, enabling full analog and digital operation from 1.71V to 5.5V. It also enhances Cypress’s CapSense capacitive-touch sensing technology by offering significant leadership in noise immunity. In addition to capacitive sensing, PSoC 4 targets field-oriented control (FOC) motor control, temperature sensing, security access, portable medical, and many other applications. The PSoC 4 Pioneer Kit includes connectors for Arduino™ compatible shields and Digilent® Pmod™ daughter cards, enabling you to pick from a variety of third party expansion boards. The board also features a CapSense® Slider, an RGB LED, a push button switch, and more! The PSoC 4 architecture supports an extremely low-leakage hibernate mode consuming only 150 nA. It features a best-in-class 20 nA stop mode, eliminating the need for external power circuitry for sleep and wake-up control. While in active mode, it provides fully functional analog capabilities from 1.71 – 5.5 V.
An onboard PSoC 5LP device serves as the programmer and debugger, eliminating the need for external programmers. Interface through the USB connector to talk to your PC over SWD, USB-UART or USB-I2C. With PSoC Creator™ you can design your system, write firmware, and step-through code using the built-in debugger. 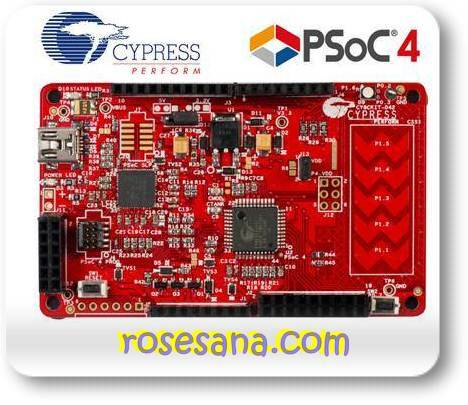 PSoC Creator: A state-of-the-art, easy-to-use IDE that introduces a game-changing hardware and software co-design environment based on classical schematic entry – a revolutionary embedded design. PSoC Creator also allows you to tap into an entire tools ecosystem with integrated compiler tool chains, RTOS solutions and top production programmers to support PSoC 3, PSoC 5 and PSoC 5LP. PSoC Programmer: PSoC Programmer is a flexible, integrated programming application for programming PSoC devices. 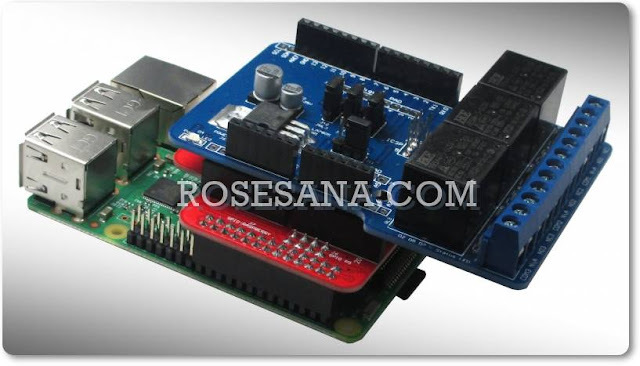 PSoC Programmer can be used with PSoC Designer and PSoC Creator to program any design onto a PSoC device. PSoC Programmer supports all PSoC 1, 3, and 5 devices. It provides you a COM interface layer to design your own debug applications, with included examples in C, C#, Perl, and Python.